The quintessential cowbell song. Besides "(Don't Fear) The Reaper," there is no other song that is more associated with cowbell than "Mississippi Queen." This reputation was bolstered by it's appearance in Rock Band 2. 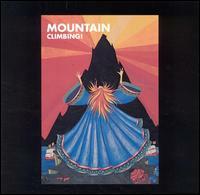 This is definitely Mountian's most well known song and for good reason. The opening riff is instantly recognizable and classic. And the cowbell pretty much doesn't stop for the entire 2 1/2 minutes of the song! As for the covers, they're all pretty much standard fare, except Ministry and Co-Conspirators' raging, industrial remake and Wayne's screaming, power metal juggernaut. And I don't know how you can manage to cover this song without using cowbell, but Texas bluesmen Omar & the Howlers managed to do it. They do the song justice with the guitars and vocals, but they dropped the ball by substituting some piano for the cowbell.